A new £2.5 million pavilion and astro hockey pitch has opened at King Edward’s School, Birmingham in time for the new academic year. The new development, called the Southall Pavilion, has been substantially funded by former pupil Stuart Southall who is co-founder of the Punter Southall Group and was a keen hockey player when at school. The project has also been supported with funds from the Old Edwardians Association. The new hockey pitch, which is of the highest specification, and pavilion add to the School’s extensive sports facilities and reflects the growing importance of hockey in the School. There are 16 School hockey teams which are consistently amongst the best in the Midlands, and the Under 16 team reached the National Finals in April 2015. The School is also fortunate in the quality of coaching: Michael Johnson, Director of Hockey, played for Great Britain in two Olympics and James Fair, who teaches Geography, was GB’s goalkeeper at London 2012. John Claughton, Chief Master, said: “Hockey has grown in popularity and success during recent years and this project is a reflection of its growing importance. “It is a great game for the boys in that it requires speed and skill and teamwork. This pitch and this pavilion are perhaps the best hockey facility in Birmingham and we have well-developed plans to share its use with local clubs and with local junior schools. The boys will be very lucky to play on such a pitch and be coached by former internationals. Stuart Southall is the third former pupil in recent times to have provided a substantial donation towards new facilities at King Edward’s School.The £11 million Ruddock Performing Arts Centre, which opened in 2012, was substantially funded by Sir Paul Ruddock and the Andrew Brode Wing, a £5 million modern languages and science centre which opened in 2013, was part-funded by Andrew Brode. 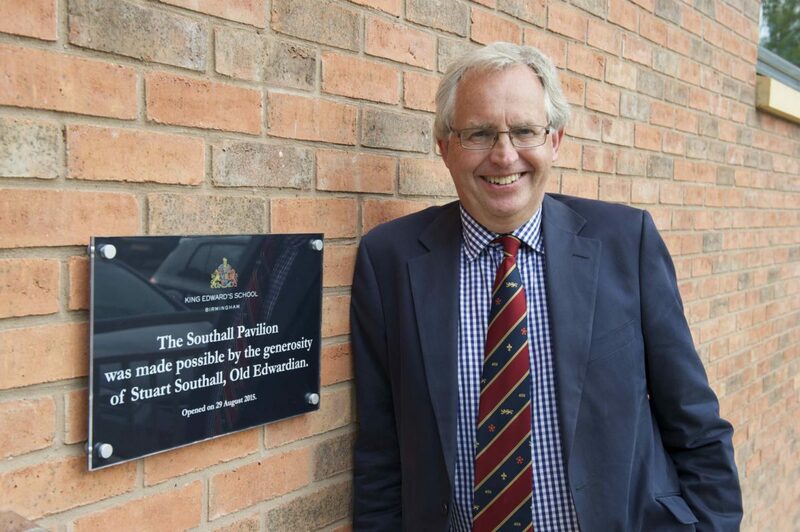 The Southall Pavilion was officially opened on Saturday, 29 August 2015 by Stuart Southall. 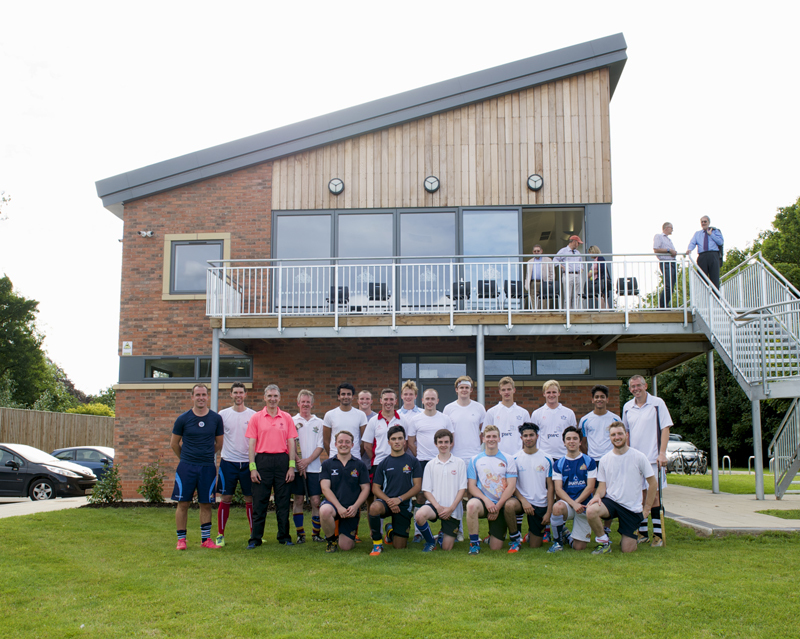 Guests at the opening enjoyed a round robin hockey tournament between the School’s 1st XI hockey team and three teams of former pupils from different generations prior to a drinks reception in the new Pavilion.